There is a pink elephant in the room that I need to address. I’ve been biting my tongue on this and admittedly burying my head in the sand hoping that it might blow over, however the situation has escalated significantly in the last few months. That is – that food IS medicine. As someone who has created a brand around food, I often get confused with being a doctor who believes in food as an alternative therapy for illness. Questions such as “I feel tired all the time, what can I change in my diet?” “My skin is really bad, should I cut out dairy?” and “I’m really bloated, how do I know what food is causing that?” populate my inbox. These are just some of the questions I get asked, and while tiredness, bloating, and skin conditions can in some cases be related to diet, they can also be due to many other things – some of which can be pretty sinister. Not fully investigating tiredness, could mean you miss iron deficiency anaemia in someone with gastrointestinal (gut) bleeding secondary to colon cancer, or putting bloating down to just diet, might be a missed diagnosis of inflammatory bowel disease or ovarian cancer. 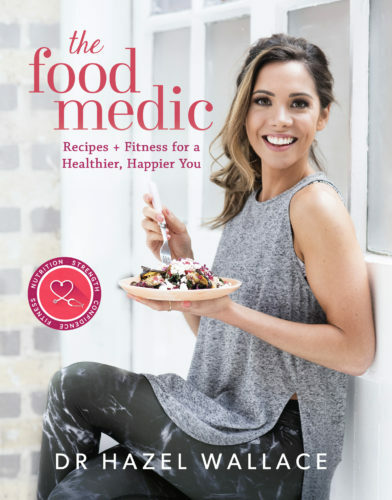 Before I unpick the issue at hand, I feel that it is important to explain and the journey and positioning of The Food Medic brand – as I’m sure that is bound to sound like a complete juxtaposition to what I’m about to say. 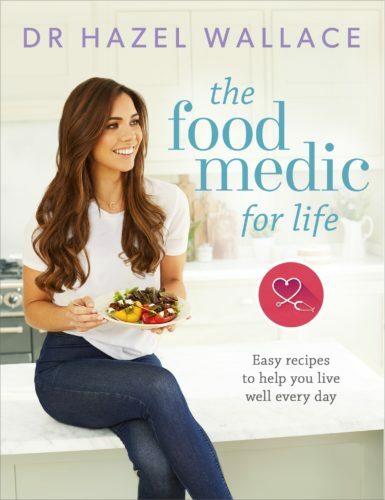 I started The Food Medic blog in 2012 following completion of my undergraduate degree in Medical Sciences and prior to commencing a 4 year graduate entry degree in Medicine. It was at this point that my interest in nutrition began when I first made the observation that areas of lifestyle, primarily nutrition, were rarely addressed within medicine. As a keen medical student and nutrition “newbie”, I was also quite disappointed to see that this subject was very much lacking on the medical school curriculum. So I tried to join the gaps in my knowledge by myself – scouring the literature, attending conferences, reading books, and then condensing my findings into blog posts that anyone could access and read. This was 7 years ago, and not many (if any) medics were talking about nutrition in the context of medicine. I found this totally mind boggling because surely, given the type of diseases we are sick from and die from today, we should be integrating lifestyle and nutrition into our practice – hey, maybe food could be medicine? I left medical school and began working in a busy hospital within central London, rotating between specialties in respiratory medicine, acute medicine, and surgery. I treated patients who were extremely unwell and witnessed them recover through the powerful interventions of medicine and surgery. Not only did I began to appreciate how awesome medicine truly is, I also began to appreciate the complexities of health, disease, and the healthcare system. These were not issues we could simply eat our way out of. Feeling slightly overwhelmed by it all, I decided to return to University to study a Masters in Public Health and Clinical Nutrition which, all going well, I will complete in the coming months. How I view nutrition, particularly within the context of medicine, has dramatically changed. Nutritional Science is arguably more complex than the other science disciplines I have studied. Unlike medical science, it is not black and white – it’s grey and blurry. It’s not just about calories in and calories out or eating your 5-a-day, it’s much more nuanced. Some of these nuances and complexities are often not appreciated by medics, and other non-nutrition professionals, when they communicate nutrition research often meaning that they come to misleading conclusions which could potentially cause harm. Food and disease: what’s the link? The difficult thing, and what underpins much of the frustration I witness from my colleagues, is the healthcare system is overrun. A huge proportion of the patients we see are suffering with chronic diseases, such as type 2 diabetes and heart disease, which are in part attributed to our lifestyle. and therefore, they could have potentially have been prevented. This is why in the last few years we have seen a shift in public health reports and campaigns towards prevention of obesity-related disease – the sugar tax, restrictions on advertisement and reformulation of foods high in fat, sugar and salt (HFSS), and incentives to increase physical activity. These measures are very important, particularly from a preventative point of view, but they can’t completely bulletproof us from falling ill. Because outside of how we live our lives (the food that we eat, the alcohol we consume, how much exercise we do) there are a myriad of other factors which determine our health: our genes, our environment, our socioeconomic status. Furthermore, we have seen this messaging within the media, in books and magazines we read, from the people we follow online, and within the places we work and study. The concept that chronic diseases are in part due to our lifestyle has somewhat created a blame culture. The issue of reducing food as a medicine, and therefore disease as a consequence of poor diet, places the blame and responsibility on the individual i.e. you’re sick because you ate the wrong food, and therefore it is your fault. This is so far from the truth but it’s something I’ve witnessed in practice and also heard anecdotally from my colleagues, particularly with patients who have been diagnosed with cancer and have been told by friends, family, and even strangers how their diet is linked to their diagnosis. This is deeply unhelpful and extremely misleading – cancer is the result of multiple random mutations caused by an interplay between our genetics and our environment. You can have the most pristine diet in the world and live the least risky lifestyle, and still get cancer – unfortunately, it’s out of our control. The limitations of food as medicine. 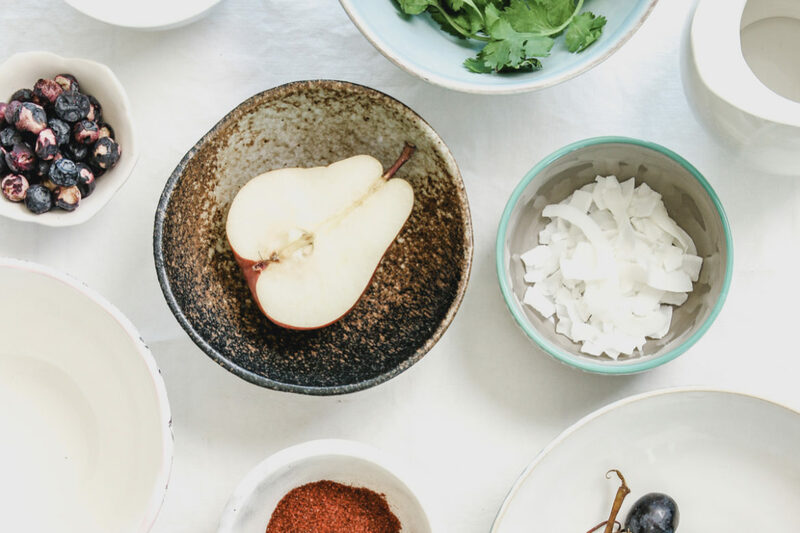 While nutrition and our lifestyle can affect our risk of developing cancer, no single food can cause or cure cancer (or any disease or illness), and as it stands there is no nutritional therapeutic intervention that can treat cancer. This is not the answer you will find on Dr.Google however. Cancer research is one of the fastest growing fields and everyday clinical trials and studies are being conducted to help us further our understanding of what causes cancer and how we can cure it. These studies naturally start in a test-tube in a lab, then may extend to an animal study, and maybe – if they’ve passed safety and efficacy checks – will they be trialled on humans. Unfortunately even if we do get good results in a test tube or rat, we don’t always get the same result in humans. This is particularly true with curcumin, a compound in turmeric which has been investigated as a preventative and therapeutic treatment for cancer, largely because of its known ability to block inflammatory signals which are often involved in cancer progression. And while there have been some promising results, most of the research is test-tube or animal experiments, and currently there is little evidence to show that curcumin can prevent or treat cancer in humans. Furthermore, curcumin taken orally is poorly absorbed and rapidly metabolised and eliminated. Therefore, the potential of using it as a therapeutic agent is somewhat limited. Another thing to mention is that many of the studies reported by the media are based on observational or epidemiological studies. Now, I’m not planning to go into a whole statistics lecture here but let me just explain why they are useful but where the limitations are. Observational studies are essentially a type of research method where there is no intervention and researchers just observe how an “exposure” (e.g. fruit intake) leads to an “outcome” (e.g. risk of death). These studies allow us to make links between certain foods and/or dietary patterns and health outcomes. However, while findings from observational studies can show associations between certain foods/ behaviours and the development of a disease or condition, these associations may or may not be cause-effect relationships. To prove or disprove a causative relationship we can do an experimental trail where we give one group the intervention and one group nothing or a placebo. As you can imagine, it’s difficult to do that with food! It’s easier to do with pills as you can make a pill with the active drug and one with an inert substance. However, rarely in nutrition do we find that when we extract a nutrient from a food it provides the same effect tha it would in its whole form. We see this time and time again with nutrient supplements. The thing is, the nutrients you find in food are packaged up in a very different way to those you find in a pill. A large review of studies looking at antioxidant supplements (beta-carotene, vitamin A, vitamin C, vitamin E, and selenium), either in healthy people or in those with diseases, found no reduction in risk of mortality, and actually found that vitamin A, E, and beta-carotene supplementation may even increase the risk of death (1). I realise this is a supplement, and not food, but it illustrates how things can go wrong when we try to turn food into medicine. Understanding our scope of practice as doctors and the limitations of nutrition from a preventative and therapeutic point of view is what is key. For example, if a patient attends their GP and is diagnosed with raised blood pressure it would be totally appropriate for the GP to suggest basic lifestyle modification, as outlined in the NICE (National Institute for Health and Care Excellence) guidelines, before commencing medication – or even alongside medication. Simple things such as reducing salt intake (primarily through the reduction of processed food), increasing fruit and vegetable intake, swapping saturated fats for mono- and polyunsaturated fats, opting for wholegrain and high fibre foods, are some low hanging fruits that could improve a patient’s cardio-metabolic risk. They have been consistently backed by research, safe to implement, and do not require significant dietary restriction or supplementation. This is what lifestyle medicine should look like. An example of when nutrition as a therapy is taken too far, is when a specific diet (such a juicing or a ketogenic diet) is advised as a an alternative to standard cancer treatment or suggesting celery juice as a treatment for inflammatory bowel disease (note: these are real life examples). I want to wrap up this post not with a fatalist attitude towards nutrition but rather leave you with the takeaway that good nutrition can absolutely support health and recovery from disease and sickness, however nutrition in replace of medicine is a dark and dangerous message in the wrong hands. Those who do not understand the limitations of when we can use nutrition are putting people at risk of receiving the appropriate care that they need. As doctors communicating to the wider public there is a standard of care we must uphold, and that is ensuring that the advice we provide is safe, not misleading, and sound with respect to the evidence and information that is being communicated. This is something I’ve always endeavoured to do through The Food Medic blog and social media, but it’s not something I feel all health professionals with public platforms exercise to the degree that they should. This can be achieved by reaching out and collaborating with colleagues who have the qualifications and knowledge to tease apart the nuances and complexities of nutrition science, and, for those who are really passionate about nutrition, seeking further education at a university level. I am still optimistic that this CAN be done well and I am still deeply motivated to ensure that nutrition is appropriately integrated in medical school training so that future doctors can have a deeper understanding of how they can safely offer advice to patients when it comes to food, without misunderstanding and misrepresenting the evidence – and without causing harm. The ‘Let food be thy medicine, and medicine be thy food’ message has been deeply misunderstood and over simplified, allowing the acceptance of food in replace of medicine. While food can have an impact on our health, positively and negatively, food should not be confused for, or replaced with, medicine. The answers is not food is medicine but rather food AND medicine. (1) Bjelakovic G, Nikolova D, Gluud LL, Simonetti RG, Gluud C (2012) Antioxidant supplements for prevention of mortality in healthy participants and patients with various diseases. Cochrane database of systematic reviews.